I’ve been making homemade granola for about 10 years and each time I make it, it seems to tastes better and better. I recently tried a no-bake version which is a little chewier than normal and it turned out really good. My favorite way to serve granola is parfait style with some vanilla yogurt. It’s the perfect dessert or even breakfast. I also love a bowl of granola with some milk or a bowl of it plain. You could sprinkle it over a bowl of fruit and whipped cream or even over ice cream. I would basically eat granola with anything, maybe even a steak. Or not. For this recipe I used old fashioned oats and didn’t pulse them in the food processor like some suggest. You can, I was just being lazy and actually like it better this way. You can also use quick cooking oats. Either way, this recipe is oh so good. 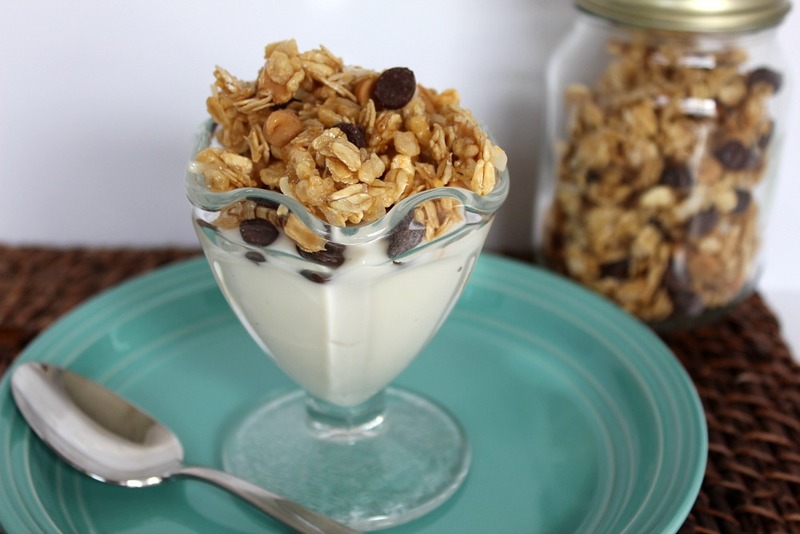 A sweet granola served with vanilla yogurt. 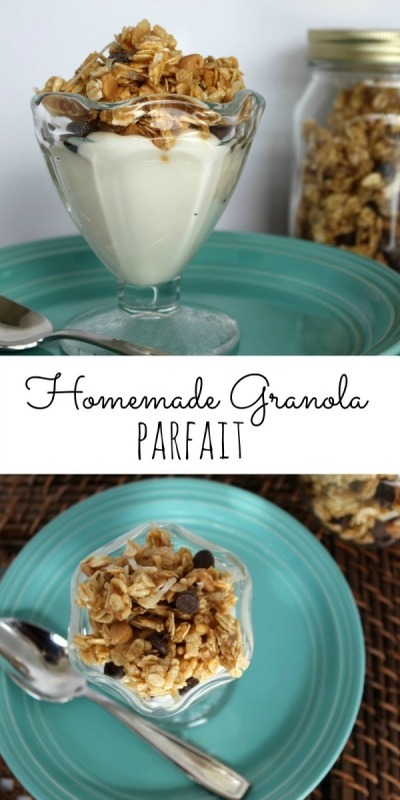 It's the perfect treat for dessert or even breakfast. 6. 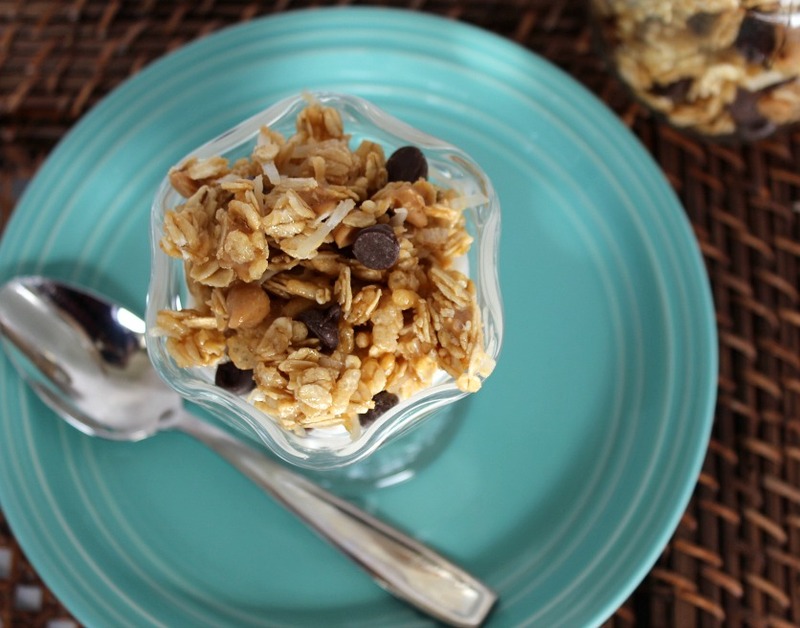 Spread the granola mixture out on a cookie sheet and place it in the refrigerator for about 30 minutes. Then take it out and break it into chunks. 7. 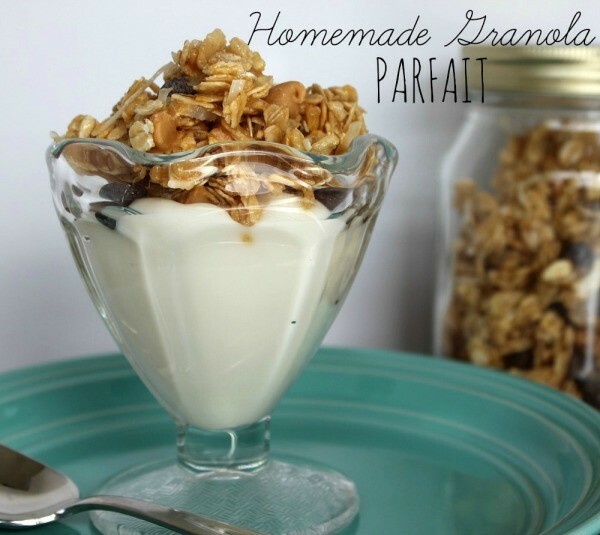 For parfaits, scoop some vanilla yogurt in a bowl and top with the granola. You can also layer yogurt, granola, yogurt, granola. Eat and enjoy! 8. Store the granola in an air tight container. 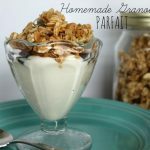 I love yogurt parfaits. This looks so good. Can’t go wrong with oatmeal.